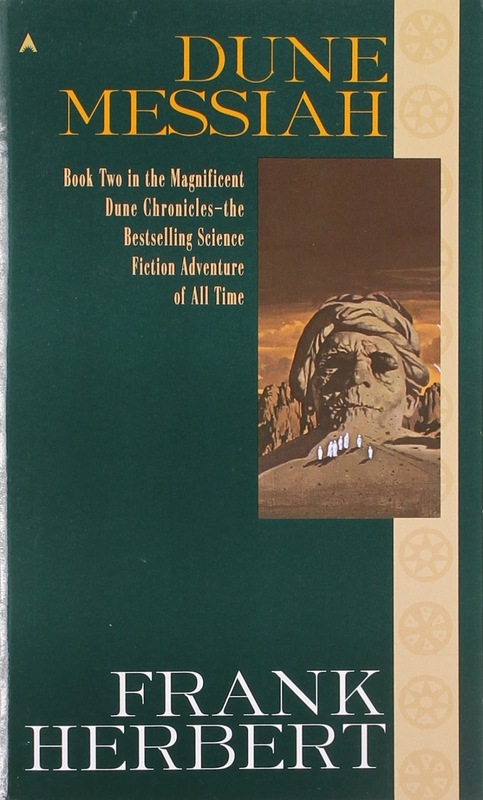 One of my favorite works of fiction is the Dune series by Frank Herbert. You may have seen one of the dramatizations. Or you may have read the book, Dune. It is rightly called a masterpiece: a work of science fiction, but also one of politics, psychology, sociology, and metaphysics. If you haven't read Dune Messiah, Children of Dune, or God Emperor of Dune you're missing important parts of Frank Herbert's message. In Dune, Paul Atreides (“Muad’Dib”) leads a revolution and ascends to the throne of the Padishah Emperor of the Known Universe. In Dune Messiah, his revolution spreads throughout the galaxy. He learns that a revolutionary often becomes a slave to his followers, and watches as the future of humanity falls into the trap of predestination. In God Emperor of Dune, Paul's son Leto II sacrifices his life and legacy to restore freedom to the Empire. It's the theme of the second book that I want to explore today. One of the interesting things about revolution is that it comes in many forms, all of which are related. A change of opinion and a change of government are differences in scope, not in kind. A change of opinion is the revolution of a single mind. What Paul learns in Dune Messiah is that the revolutionary quickly becomes subservient to the revolution. A revolution begins with a change of opinion. The revolutionary changes first his own mind, then those of others around him. They, in turn, extend the change. But the moment the revolutionary touches other lives, the revolution is beyond his control. In my last post I noted that the controversies of politics are rooted in the vagaries of language. As such, we have to be very careful about how we phrase certain concepts so as not to introduce disagreement when none existed before. As above, once a concept has been disseminated, it is beyond our control. Liberty is a dangerous and powerful thing. So powerful that I, for one, do not wish to give it up. It is unique among precious possessions in that it need not be scarce. It is also something that is extremely difficult to regain once lost. It is dangerous not merely because it gives people the latitude to do bad things, but because it can destroy itself. So when I see trends in that direction, I note them. I point them out. In my last post, I noted the confusion between rights, privileges, and advantages;. But I did not explicitly state was that this confusion has often been deliberately cultivated. Obfuscation of language is a political tool. It allows the politician to say destructive things with kind words. Furthermore, it's entirely possible for a person who is habitually precise in his own usage and meaning to be surprised by the ways in which that meaning can be misconstrued. Today it is quite common to speak of “rights” with regard to services that chain another man to one's own will. These are not rights. Nevertheless, that is what they are called in popular discourse, and it makes blanket statements about "rights" extremely dangerous. For instance, my friend Edric recently tweeted that "Majorities shouldn't get to vote on whether minorities should have rights". That is true... of natural rights. But it is not true of many things that are commonly labeled as rights. At no point do the claims of the minority disenfranchise the majority, much less the whole of society, from discussing whether something is or is not a right. At no point does the mere existence of a minority negate the voice of the whole. If that were true, we would be left with a “tyranny of the minority” where all that has to be done is to exclaim, "I have a right!" and the discussion is over. This is no less distasteful than a tyranny of the majority. Sadly, I've seen it attempted all too often. Note that a pure democracy is "majority rule", by definition. It is because of the need to defend minority rights that our founders rejected pure democracy as a form of government. They knew, as do we, that there is a necessary balance between a democratic representation and protecting the rights of minorities. We find the balance point by understanding that no natural right can impose upon that of another person. This is a constant. It does not change simply because one chooses to spread the imposition over the whole of society. So while Edric's observation is true, it is a narrow truth, easily misunderstood, and extremely dangerous when misunderstood. Given the current state of language, should it stand without qualification, then we would quickly learn what Paul learned in Dune Messiah… That our good intentions can ultimately destroy us if we are not careful.